Good Monday morning! An important invitation for you: Axios and NBC are teaming up to host a D.C. energy event Thursday. Join "Meet the Press" moderator Chuck Todd and Axios CEO and founder Jim VandeHei for an exclusive discussion with Energy secretary Rick Perry and Sen. Maria Cantwell. I'll be joining them on stage to talk about why all this matters. RSVP at this link. The Trump administration is fumbling its attempts to repeal President Obama's methane emissions limits. The oil and natural gas industry is, in turn, scrambling to respond to the resulting regulatory vacuum. The sector's main trade group is working to create a voluntary program aimed at addressing the issue, according to multiple executives in the oil industry whose companies are members of the group, the American Petroleum Institute. 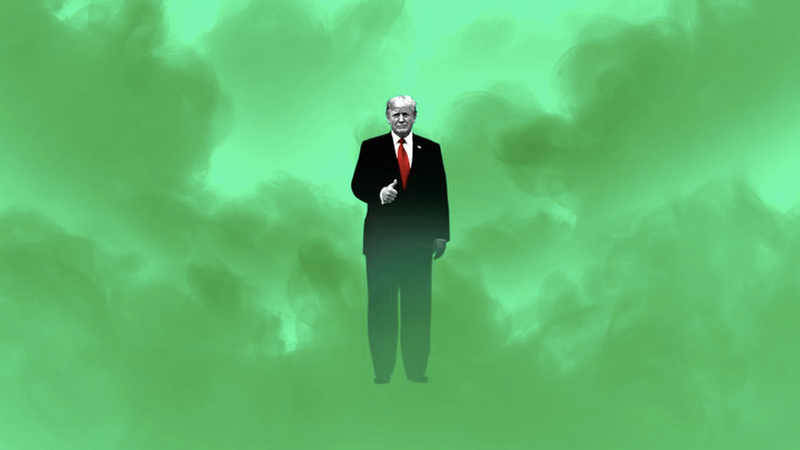 Why it matters: These efforts to roll back Obama's methane rules offer a glimpse into how President Trump's deregulatory agenda is stoking industry uncertainty, and how the debate over climate change is influencing oil and gas companies operating in the U.S.
Click here for the rest of the column in the Axios stream. Out this morning: The World Meteorological Organization's latest report on global greenhouse gas concentrations warns of the potential for "severe ecological and economic disruptions" as atmospheric levels accumulate at record speed. Big picture: The global average concentration of carbon dioxide in the atmosphere reached 403.3 parts per million in 2016, up from 400 ppm in 2015, the WMO said in a summary. "This record annual increase of 3.3 ppm was partly due to the strong 2015/2016 El Niño, which triggered droughts in tropical regions and reduced the capacity of 'sinks' like forests, vegetation and the oceans to absorb CO2." Go deeper: Read the whole report here. Shale's resilience: I found this chart in the big World Bank commodity markets outlook released late last week (and my colleague Andrew Witherspoon on the Axios Visuals team made the version above). It basically shows how the average per-barrel cost for U.S. shale projects to be economic has come down a lot. The lower break-even costs stem from a suite of factors, like technological improvements to how much service companies charge, which fell when oil prices tumbled. Why it matters: That steep downward slope is one reason why U.S. drillers, especially in the Permian Basin, have become a persistently strong competitor to Saudi Arabia and other big producers. In addition, the attractive economics of shale could sap industry interest in developing Arctic offshore and onshore regions that the Trump administration wants to make available — regions with potentially vast resources but that also require lots of capital to explore and develop. Yes, but: "While shale companies are expected to continue to achieve efficiency gains, they are starting to face cost inflation for some inputs, especially skilled labor," the World Bank notes. Amy's got some exclusive information in this Axios stream dispatch. Happening today: America's biggest natural gas consumers are calling on fuel producers to ramp up their green cred. Seven companies and two municipally owned utilities that consume large amounts of natural gas are urging the producers that supply them with the fuel to step up disclosure on a range of environmental issues, according to a new report viewed exclusively by Axios before its release today. Why it matters: America's natural gas boom has lowered carbon emissions and fueled economic growth across the country. But the public's perception of natural gas is mixed. A lot of people are concerned that hydraulic fracturing — where a mix of water and chemicals is injected into rock to release gas — contaminates drinking water supplies. Companies involved: Calpine, Consolidated Edison, National Grid, NRG Energy, NW Natural, Pacific Gas and Electric, Xcel Energy are joining with two municipally owned utilities: Austin Energy and Los Angeles Department of Water and Power. Big picture: The report is coming as the Trump administration grapples with how to move forward with repealing and maybe replacing President Obama's regulations (Check out my Amy's column above on this topic). This report is separate from that debate, though it adds additional pressure to oil and natural gas producers to take a public step on the environmental impacts of natural gas. "We believe this to be the first time natural gas purchasers are directly engaging with natural gas suppliers on environmental sustainability reporting," said Robert LaCount, executive vice president at Michael J. Bradley and Associates, the consulting firm that conducted the study. Exports in focus: Reuters looks at how high U.S. crude exports can climb before infrastructure bottlenecks kick in. "Analysts believe operators will start to run into bottlenecks if exports rise to 3.5 million to 4 million barrels a day. RBC Capital analysts put the figure lower, around 3.2 million bpd," they note. CNBC reports that "U.S. crude oil exporters are moving more cargoes toward high-growth Asia as they capitalize on favorable price differentials" and OPEC supply curbs. Offshore Brazil: "Oil executives and government officials were ebullient Friday following the conclusion of a major oil auction in Brazil, where a yearlong effort to lure foreign investment into the energy sector appeared to have paid off," the Wall Street Journal reports. Russia's plan: "Moscow, through the state oil giant Rosneft, is trying to build influence in places where the United States has stumbled or power is up for grabs," the New York Times reports. Statoil's plan: Via the Financial Times, "The chief executive of Norway's biggest oil company refused to give up on oil exploration in the country's Arctic despite another disappointing drilling campaign this year." Blunt Fox ad: "President Trump is caving to ethanol lobbyists"
Beginning today: A group led by mid-sized oil refiners is running ads on Fox & Friends — a show the president is known to watch — that knock the administration for backing off changes to the national biofuels mandate called the Renewable Fuel Standard. Why it matters: The bluntly worded, weeklong Fox ad campaign aimed right at Trump's eyeballs signals the intensity of the fight over the RFS, a topic that pits the biofuels industry and midwestern lawmakers against the oil industry and its Capitol Hill allies. Solar tariff vote: The U.S. International Trade Commission will vote Tuesday on remedies for its September finding that imports of solar panel equipment are badly hurting domestic panel manufacturers. The vote comes ahead of mid-November recommendations to the White House. Tax day: On Wednesday House Republicans will unveil details of their U.S. tax code overhaul plan. There's plenty at stake for the energy industry, a topic we explored here. Senate ANWR action: The Energy and Natural Resources Committee gathers Thursday for a hearing on the revived GOP push to allow oil drilling in Alaska's Arctic National Wildlife Refuge. Earnings: As third quarter reports roll in, some of the ones we're tracking include Tesla, which reports Wednesday, and Royal Dutch Shell, which reports Thursday. Hurricanes and power: In case you missed it, Puerto Rico's power company said yesterday that it plans to scrap the $300 million contract awarded to an obscure Montana company for restoring the island's power grid. The Senate Homeland Security and Governmental Affairs Committee will hear Tuesday from FEMA administrator Brock Long. The House Homeland Security Committee will hear from Long at a hearing Wednesday. A House Energy and Commerce subcommittee meets Thursday for a hearing on emergency response and energy infrastructure.